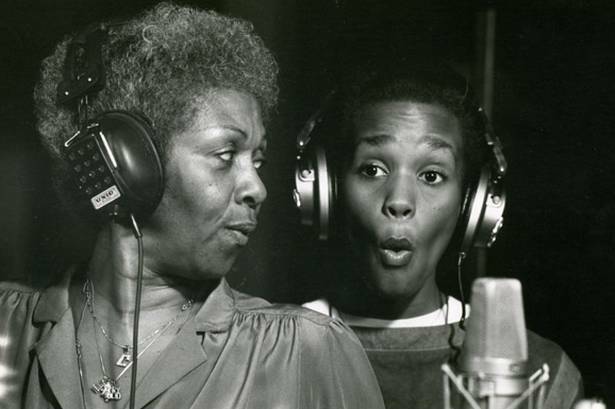 Get Off My Wings Fun Fact: What Whitney Houston Song Did Cissy Houston Sing Background On? Gladys Knight, Aretha Franklin, Natalie Cole, Whitney Houston, Cissy Houston, Valerie Simpson, Bebe Winans, and more sing, “Respect.” 1994. Whitney Houston Singing Curtis Mayfield’s, “Look Into Your Heart.” This song was originally sung by Aretha Franklin on the Sparkle soundtrack. Happy Birthday, Curtis Mayfield!